Paranormal phenomena and sightings over the 944 years since the Battle of Hastings have been rife. On the anniversary of the battle (October 14), the ghost of the former King Harold is said to appear at the spot of his demise, which is now occupied by the grand high alter of the abbey church. Visit the site on a rainy day and see the battlefield awash with the "blood" of this gruesome battle (although sources suggest the likely reasoning for this is iron oxide in the soil). Pendennis Castle was home to a number of garrisoned soldiers during the late 19th and early 20th Century so it is hardly surprising that among the many restless spirits which have been seen lurking inside the castle have been several soldiers in red tunics. Legend also has it that desperate soldiers trapped in the castle during the Civil War siege were driven to eat their own horses. Previous custodians of the castle have been woken by the sound of ghostly hooves even after the cobbles were turfed over. Another member of staff has seen apparitions of a woman haunting the keep and other spooky sightings include the ghost of Anna, a scullery maid, who fell down the stairs to her death. Recently, fearful screams have been heard from the stairwell - said by some to be Anna's final moments. Visitors have also reported seeing strange green lights in the kitchen and the figure of a ghostly woman climbing the stairs. You can experience Pendennis Castle’s darker side for yourself this October with family Halloween trails and adults-only tours. The castle at Dover has what can only be described as a turbulent history, which stretches back 2,000 years to Roman times. Over the years, more than nine ghosts have been reported, most notably the recognition of a mysterious woman in red and a Napoleonic drummer. More recently, Second World War Naval Officers have been seen, as well as creepy sounds of some of the wartime operations which took place in the tunnels. Dover Castle has a well-deserved reputation and English Heritage's Haunted Castle event this month is set to keep visitors on their guard as they are led around the castle by eerie costumed characters. This garrison stronghold built in 1540 has a sinister past. Visitors to the site have experienced members of the Tudor force, while others have felt themselves being barged by inexplicable forces in an otherwise empty room, unoccupied by any other visitors. During the Civil War, surgery was performed on the kitchen table, where odd scents and smells are still regularly picked up. Visitors to English Heritage's “Spooky Stories” event can enjoy Halloween tales about the castle and fun activities and games offering prizes. 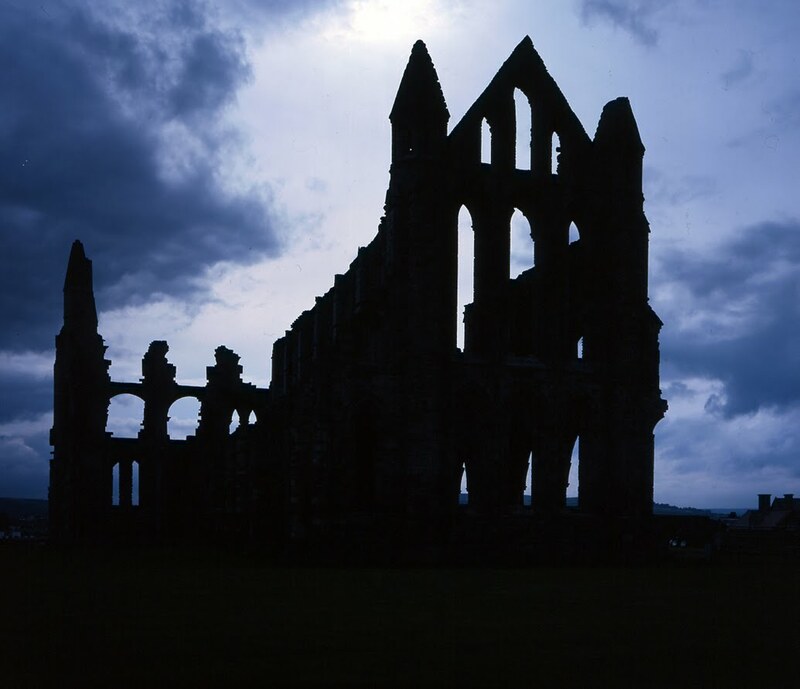 Best known as the inspiration for Bram Stoker’s "Dracula", Whitby Abbey has had its own fair share of reports of ghosts and spooky happenings. The Abbey’s founder, St Hild, is said to be sometimes seen in the upper windows of the Gothic ruins, while on 6 January – the old Christmas Day – a phantom choir can sometimes be heard within the ruins. There are also stories of a mysterious horse-driven stagecoach being driven over the cliffs at Whitby Abbey and local legend dictates that the lack of seagulls in the area is due to St Hild forbidding them from flying over the abbey. The abbey has taken a Gothic twist to celebrate the Halloween period, with both day and evening events to choose from. The picture at the top is of Whitby Abbey and was supplied by English Heritage photo library. I've been to all the places except Portland castle. Hastings Castle creeped me out the most - nothing happened but it just had a very eerie feeling. Went to Pendennis castle today, felt a presence when we were at commander's room. Anyone know any stories in this room? I have visited Pendennis castle - amazing place and definitely has an atmosphere. I am sure one of the staff at the site could tell you about any ghosts that have been seen there. Nice blog! I heard about this monk that used a love potion on a princess. I can't remember from what UK castle they both haunt.